St Pete X features business and civic leaders in St. Petersburg Florida who share their insight, expertise and love of our special city. An initiative of the St. Petersburg Group, St Pete X strives to connect and elevate the city by sharing the voices of its citizens, and to bring awareness to the opportunities offered by the great St. Petersburg renaissance. On this episode of SPx, Joe welcomes Steve Tingiris, serial entrepreneur and founder of Dabble Lab, to the studio. After many iterations, Tingiris has found the perfect niche for his business, functioning as fractional R&D teams that build tech products and tools for other companies. Dabble Lab's most recent focus has been artificial intelligence and machine learning. The team builds digital assistants and voice tools to automate business processes and workflows. Despite mainstream fears around AI, Tingiris is hopeful about the possibilities AI could unlock for human potential and business efficiency. He talks about the fundamental changes coming in the world economy and innovation's role in that change. Today's guest: Serial entrepreneur and founder of Dabble Lab, Steve Tingiris. In the last two decades, Tingiris has founded four startups, including Philotek, Prospect Smarter, Enthusem, and Dabble Lab. He was also a Founding Board Member of Tampa Bay Wave and is an active investor in Florida Funders. Dabble Lab was founded in 2015 and its business model is in its third iteration. It began as a "startup studio" to work on products that were intended to spin off into companies. The second iteration became investing in startups and building their engineering needs as partners - Tingiris and his team ended up investing in 14 companies - and still has equity in the ones that are still around. The third iteration: "What's different about what we do is we're very narrowly focused on emerging technologies and more specifically artificial intelligence and machine learning and in the digital assistant space." Examples: "Helping companies leverage Amazon Alexa, Google Assistant, Twilio Autopilot, Microsoft Cortana...for business applications where these devices are acting as sort of the front end to your brand." Dabble Labs explained: "The reason I chose that name is because the one thing that stays consistent with technology is that it's constantly changing, and you really don't know what the next thing is going to be." Now, Dabble Labs functions as a sort of "on demand R&D team" for other companies. Clients buy into fractional R&D teams of 3-5 people with other non-competitive companies. Tingiris' best advice for startups: "I still think to this day that the best way to raise money is to get customers. And that even if you want to go out and get capital from investors you're better off getting to the point where you don't really need it to stay alive." Trends in business technology: AI is changing business automation. In the past, companies had to get larger (more employees) to increase gross revenue. Now, with AI and machine learning, companies can stay smaller while increasing revenue. Using an Alexa digital assistant, Dabble Labs can help companies streamline business and sales meetings and data collection. "We added to the digital assistant, so the assistant would just text people every so often and go, 'Hey how many meetings do you have lined up for this week?' They text back three, five, whatever." "You know we just don't do well as humans is look at massive amounts of data and recognize differences in patterns that we would never see." How does machine learning work? "With like semantic programming it's mostly like, "If this happens, then do this." But with machine learning it's more like training somebody, like a person. So, here's a bunch of examples of something. Now here's something new. Does this new thing that I give you look like those existing things?" Addressing fears around AI/machine learning replacing humans: "The reality there is that most of the jobs that AI is going to replace are jobs that humans really don't want anyway. They might get paid to do them today but they're process oriented jobs." Concept of work and economic systems: "You've got to think about what happens when you change the fundamental building blocks of capitalism...When the population got bigger, the GDP increased, so it was all about just more people because more people were able to produce more things. What if that changes? How does that affect the building blocks of what we're relying on?" Tingiris' shoutout: "The Synapse team and the Florida Funders team...They are very hard at work doing stuff that is creating amazing results for the community." "I still think to this day that the best way to raise money is to get customers...even if you want to go out and get capital from investors you're better off getting to the point where you don't really need it to stay alive." "We're creatures that solve problems. And if it's something that a machine can do it's not really a problem anymore. And so, let's move on to the next thing. We've got lots of big issues to solve. Let's put more brainpower on those." JOE: Joining me on SPx is Steve Tingiris. Welcome, sir. STEVE: Happy to be here. Thanks for having me. JOE: So, the first thing I noticed is that you’ve run startups, you’ve done the grind for many, many years. And you look fantastic. You’re cut. You’ve got muscles. You look healthy. How did you survive? Tell me, what’s the secret? STEVE: You don’t have much time to eat. And you’re always running to the next thing. It’s survival of the fittest out there, I guess. I don’t know. No, but I appreciate that. I try to stay healthy for the energy – it takes a lot of energy. JOE: So, let’s run through the companies. You’ve had a very good track record. I met you back when I was playing around SavvyCard and you were with Prospect Smarter, which kind of evolved. And just get a catch up of the journey through the companies. STEVE: So, Prospect Smarter is still around. Enthusem.com. I exited the company in January of 2014, and since then, immediately when I exited, I exited with all kinds of ideas of other things that I want to do, which I think is probably typical of the way that most people do it. I wasn’t ready to retire by a long shot. So, I started a company, Dabble Lab. The first incarnation of it was—I guess the buzz term at the time was startup studio, and the idea was we’d put together an engineering team and we’d work on different products that we thought we could spin out into companies. And so, I took these ideas and worked on them and thought, yeah, they’ll be great, and I’ll find a CEO, and we’ll have like this portfolio of companies and great CEOs. Long story short, that didn’t work at all. JOE: So, all the original ones where you were just trying to spin up your own companies. You weren’t doing it as a service. STEVE: That’s right. Yeah, yeah, yeah. I’m sort of on my third revision of Dabble Lab. But version one was—I’ll call it the startup studio model, where we were going to launch startups from this shared engineering team. We did launch a couple of products. They just didn’t really go anywhere. And mostly I think the model was failed and I thought that maybe I could sell other people on these ideas that I thought were great. And I would go out and try to do that, and the response I would get was, “Yeah, that’s a good idea. But listen to my idea. My idea is way better than that one.” At least from the people that I was trying to get interested in running the companies. And that sort of gave way to the second iteration of Dabble Lab, which was, okay, I’m not having much luck selling my ideas to anybody. Maybe I just need to buy into their ideas. And so, the next version of it was—I ended up investing in some startups and we became their engineering team. So, the next version was kind of “You bring the idea to us you know we’ll build it for you. And we’ll become partners. You run the business side. We’ll take care of the tech and engineering side.” And ended up with a portfolio of about 14 companies there. JOE: You had equity in all of these. STEVE: Well, they needed the services, but they didn’t need to give away equity. So, they’re like, “How about we just pay you?” And that is most of what we’re doing today with Dabble Lab. But what’s different about what we do is we’re very narrowly focused on emerging technologies and more specifically artificial intelligence and machine learning and in the digital assistant space. So, we’re helping companies leverage Amazon Alexa, Google Assistant, Twilio Autopilot, Microsoft Cortana, and there’s a host of other ones out there, for business applications and it might be business to consumer where these devices are acting as sort of the front end to your brand. People were beginning to get savvy about how these things fit in organizational context for business and certainly in homes. I think last year or the last couple of years over 60 million of those smart speakers they call them—-the speakers themselves are not all that smart. They really just relay what the user’s saying to a smart back end, and so the technology is finding its way into just about every imaginable device out there and so the industry is starting to get some legs under it. That’s been good for Dabble Lab. So, now we’re almost exclusively focused on just building bots and digital assistance for business. JOE: Not a bad place for it end up a successful business. Just a little bit of a roundabout way to get there. JOE: And IE just threw in the towel, didn’t it? STEVE: Yeah. Yeah. So, I mean, you just don’t know. And the winners change and can change within years, and technology changes, so you really have to be dabbling with a lot of different things and understanding it to some degree to hopefully recognize where an opportunity might be or where a trend might be going. And then when you do find something that might be an opportunity, then you really need to get scientific about it and really dive in. And that’s where the lab part comes in. So, my idea was. Initially, I need to find a way to dabble with emerging technologies and figure out which ones could be leveraged into opportunities, business opportunities. It’s sort of what we do today. It’s just we do it for other businesses. So, lots of businesses today. Every business is, to a certain degree, a technology business. JOE: So are you selling it as “Here’s what we want and you build it,” or you also selling the creativity piece of it, the actual experimentation piece? STEVE: Yes, in some cases, but our engagement model has really shifted to be almost an on demand R&D team. And what our clients do, the literal engagement model, is they buy fractions of the team. So, we have teams of three to five people. We’ve got multiple teams. And we have for every team of three to five people we’ve got five to seven clients that contribute to sponsor that team. And those clients might be using a few thousand hours a year. It just depends on where they are. But the challenge that we’ve been trying to overcome for our clients is today every company to a certain degree needs to be a technology company, because to stay competitive today you need to have technology know-how. But not every company understands how to create technology products. They don’t write code. And so, we’re sort of fitting that gap. If you’re a company that needs technology R&D but you don’t have a technology R&D department, that’s sort of where we fit, and if you’re not quite to the stage where it makes sense to hire a team of five people you can buy into a fractional team that you share with non-competitive partners. Or they’re not really partners. There are other companies that also share the same team. JOE: Alright, so you went through a couple of the iterations for Dabble. There’s a couple questions, things I want to explore. So, first going back to the initial one. An interesting ask, to basically look for a founder or a startup type that’s not already attached to a startup. So, in general you said that they were attached to their ideas. Beyond that, was there any play in the recently retired fractional C-level space that could come in or did it have to be youth? And with the youth, was it really the driver about it being their idea? Did you find any successful candidates to come in to run a company? STEVE: No. I found successful candidates, for sure, none that were willing to do what I was hoping to get them to do. JOE: From an effort standpoint or from a skill standpoint? STEVE: Well, there’s definitely people out there from a skills standpoint, but those people tend to want to drive their own idea. And on the other end of the spectrum I could go out and just hire somebody, but the people that I talked to that would be straight up hires, the income requirements would be commensurate with their skill and what they needed. The ones that I talked to I just didn’t feel the entrepreneurial drive that I thought would be necessary for a company at that stage. Certainly as a company matures you’ve got those kinds of roles. But these were just straight up like ideas that had very early minimally valuable product behind them and sort of a roadmap from how to get from zero to someplace. JOE: You’re in the fractional services business. Now did you feel like you needed a singular champion or did you feel like you might be able to do three or four these by committee with a team? Or did you think about that angle? STEVE: I personally think that for a company to succeed there needs to be a full-time, dedicated champion, like one person that wakes up and is thinking about it, goes to sleep and is thinking about it, and really puts everything into it. They’ve got to be passionate about it. I think in the absence of that the chances that you really succeed are—I don’t see it. There might be some examples of it that I can’t think of, but I was really looking for somebody that just would really buy into it. And that’s not something that I was finding. JOE: You were not just looking for one of those. You were looking for several just to make the model work. STEVE: I really underestimated. Like I thought I’d be able to go out and find people who’d be like, “Oh, this is great.” I really wanted to find something that I could get behind and just run, and I think that’s different today, too. Like today everybody’s technical. Not everybody writes code, but everybody understands what potential there is for technology, and so as we’re using apps we think, “Oh, wow, if we could take this same general thing and use it over here we could do this and this and this.” And so, I think just overall when I first got started in business as a technical founder, I guess, a big part of what I was doing was educating people on what was possible and getting them excited about that. But today it works differently. Today, people come to me and go, “Look we could do this this this and this. We just need to know how to code it.” So, I think it’s just a different time and I sort of learned that through this process, or maybe I knew it but didn’t pay close attention to the nuance that I should have. JOE: And how to expose it, too, because getting an audience and especially those ideas that really need a nationwide critical mass to work. That’s a very expensive prospect. JOE: So, moving into the second phase, with the founders now that are coming to you. You’re still playing in that space, but you’re saying, “OK, I’ll acquiesce and come and go with your ideas.” At this point they have some money but it’s mostly in equity, engagement for you. And so, given that—I especially can’t imagine the load balancing. You have a team. Maybe there’s an idea that you see a real potential for, for a good exit, but they don’t maybe have the resources. And you have the other one that’s not as keen on. But they have the resources and—Did you ever get into situations where you were trading equity back and forth between the companies to load balance the work, or how do you manage that? STEVE: Yeah. And that’s a big part of why for us the second iteration really didn’t work either. It’s very tough to load balance because at the center of all of this you also have an organization, and the organization needs to pay for the engineers and everything else, and so you do end up sort of in a scenario where you’ve got to go, “OK, we don’t love where they’re going with this, but they just raised some funding on it. So, they get a bigger slice of the team because they can pay for it. But that didn’t happen enough, actually, That probably would have made the model work better, but there wasn’t enough cases where they raised enough money to trump everybody else, so it was mostly trying to democratically, in some cases, work with what they had which was, in many cases not as much as they needed. Without raising funding it’s tough. JOE: You’re essentially putting yourself in the middle of six, eight, ten champions all grabbing at you from different directions with a lot of passion. That’s going to be a tough spot to be in. STEVE: Yeah. It was a tough spot to be in. And it’s especially tough because to do it at all you kind of got to buy into the person and to their ideas. So, personally, I really liked all the ideas and I really liked all the people and then you get to the point where you’re just completely out of bandwidth. Like personally, financially and capacity wise. And just like when you’re running a business, at the end of the day you got to make something happen. Like in our line in the sand, I suppose, what I tried to make clear is our role is concept to capital, meaning that our purpose is to help you get to the point where you can raise capital to get it to the next stage. But the raising the capital part is on you with the getting the concept to the point that somebody understands what it does and they can see a minimally viable version of it. And maybe we can get some early market evidence that it’s there. That’s on us because that’s what we bring to this. But you need to go out and find the capital. JOE: And there’s a lot more to that process than just engineering. So, how/why did you go with your involvement? The companies from product design, even marketing or positioning? JOE: You say you’re not an expert at the raise, but you were in that scene when it was really hard, right? I mean, you were, in a sense, back with LumaStream and SavvyCard and those guys were trailblazing when there was a desert of investment if you weren’t a condo or maybe a hotel. They couldn’t understand the words that were coming out of your mouth. JOE: That somewhat depends on how capital intensive the standup is, right? JOE: It’s a huge, complex software build. STEVE: Yeah. And that went into the model for what was a fit and maybe what wasn’t so much a fit. Like if the capital requirements were just way beyond—Like if you’re going to build a hotel. This is not software, but you can’t rent the rooms out until the hotel is built, and if it’s one of those kind of deals where you just gotta invest the capital to get to that point. We weren’t a fit for that kind of thing. We were looking for what are the opportunities where we can build something that is not as great as it should be but good enough to get somebody to go, “Oh, yeah, I’ll bet on that.” And that was the focus. JOE: So, you mentioned—Obviously the technology you’re talking about now is right on the cutting edge, and you’re ahead of the curve. What are your observations on the curve? You talked about trends. And have you put a lot of time and thinking into what the genesis of trends are and maybe even where and specific niche areas you might influence those trends? STEVE: Yeah. So, that’s a great question. So, I’m not sure about how to influence those trends. I’d love to know how to do that, but spotting the trends, I think, is pretty important and there’s some that you don’t need to be all that clever to spot. I think there’s some big things happening now in tech that probably anybody that you would interview would probably mention if you said, “What are the coming things?” And machine learning and artificial intelligence. Obviously Blockchain stuff, I think, has a lot of potential. And I’m not just talking cryptocurrency but Blockchain stuff. Augmented reality and virtual reality. JOE: Some of this stuff has sort of come and crested and kind of come back a bit. Needs a lot of improvement, but we were heading hard into augmented reality and sort of has been plateaued a bit, right? STEVE: Yeah. And I think that’s how technology works. How’s that saying go? The pioneers get the arrows. The settlers get the land. You get some people that will run in and make some headway and the technology that underlies it maybe gets a little bit better, or economic conditions change, or something is different. JOE: The right use for it. It comes out and it’s that lucky hit or the right publicity. STEVE: For sure. Like with the machine learning stuff, the compute capacity is just so much. What you can do today with neural networks is just—At the price point is just wasn’t even there 15 years ago, even, and a lot of that has probably been enabled by like Amazon Web Services and things like that, where a startup doesn’t need to go and invest millions of dollars into capital hardware to figure out if this stuff can happen. And all of those kind of go into creating new opportunities. JOE: So, what are some of the areas in AI that you feel the most personal connection to; that you really want to latch on to for the coming years? STEVE: Business automation. Businesses that don’t adopt AI are going to find it increasingly challenging to stay competitive. And when you look at numbers like, well, the classic revenue per headcount and you see those numbers going up where you used to be able say a 10 million dollar company that’s in this industry, they probably got 100 people or 120 people, and there was some sort of a reasonable ratio of how much top line revenue they had per each employee. Well, that number is going way up, and I think in the coming years you’ll see billion dollar companies with dozens of people. And what’s going to enable that is technology and more specifically—Well, artificial automation and network effects, and the network, the plumbing, is already in place. And this is the internet, of course, but social media and all the APIs that have been out there to connect apps and things like that. Now all of that plumbing is in place, and with the machine learning the AI on top of it you’re going to see companies that are just doing incredible things with not as many people as you would have expected. And there’s already examples of it. They’re kind of outliers now, but I think it’s gonna become commonplace over the next decade. JOE: I think of a lot of AI a lot of times as just chat bots and front end stuff, but you’re talking about back office things, so what are some examples of some back office services? 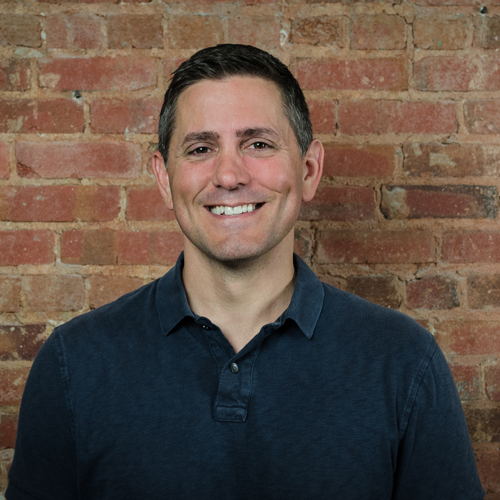 STEVE: So, one of the projects that we worked on started as a project to minimize the time that people were spending in team meetings and it was a for a company that was—they had a development team and they would get together every day for like a stand up, which is pretty common in the development world. And as they added members to the team these meetings got longer and longer. And so, to make the meeting more efficient the first kind of thing that they did was they said, OK, everybody come to the meeting with this information and be ready to just divulge this information so that we can go around really quick. And what we realized is that the information that they were collecting was stuff that we could create a bot to collect and analyze. So, for example, how many commits they made to GitHub, how many issues were coming, what people were saying about issues. So, we created a bot that would go collect the information and then during the meeting on the conference call the bot—Alexa, in this case, was the platform that we used. Alexa would tell everybody where they were. This is what Joe is doing. This is what Susan’s doing. This is what Anne—Get through that process in a matter of minutes where when you went around the call and had everybody do an individually took significantly longer and nobody had to go collect their information. This was all 100 percent automated, and once we enabled that the obvious next step was like if we can use the Alexa assistant to stay on top of where everybody is for product development can we also do that for sales. And in this case, they had a pretty good size external sales team, and by external they were contractors, they weren’t employees. So, they really had no visibility into what the sales funnel looked like at all, because they couldn’t make people use any one CRM. So, we added to the digital assistant, so the assistant would just text people every so often and go, “Hey how many meetings do you have lined up for this week?” They text back three, five, whatever. And of course, we would collect all that on the back end. So, when the sales meetings happen same thing. This how many meetings we had scheduled for last week and this how many of them closed. This is how many John has. Oh, and Mike never responds to my text messages, so, I don’t know what he’s doing—while it’s on the call. And these are all functions that a sales manager would have to do. But in their case, they had two hundred plus people in one sales manager that just physically couldn’t do it, couldn’t do all the time. But to a bot its cake work. JOE: And obviously you can easily apply business intelligence to it, crunching numbers or whatever. And did you get to a point where you were hybriding in between manually received stuff back in the texts and whatnot and the actual internal data that you could pull from the system? JOE: Yeah. So, like a great example of that—And one of the big differences between what you can do with a like a conversational assistant in AI versus like a traditional dashboard. Like if you look at a dashboard you can see a bunch of numbers that pull out of systems, but unless you know what those numbers mean those numbers aren’t very valuable to you. So, for example, if you’re looking at an accounting system and it says, “Okay, here’s all of the invoices that are past due.” Real quickly aging on invoices, has that been increasing or decreasing? Well, I don’t know. We need to create another report for that. All right. Once we do that, if aging is increasing, how does that affect our cash flow? I don’t know. Let’s do another report on that. OK. If there’s a negative effect on our cash flow. At what point will that cause us to need more capital? OK. How does that affect our cap table? Do we pay interest on that capital if we borrow it? How does that affect our profitability? All of these things are things that would take somebody that has a lot of knowledge about the organization to sit down with a spreadsheet and gather lots of data that we build about that just does it automatically and says, “Hey aging has been increasing by 2 percent over the past three months. That’s a problem if that continues at this point. We’ll be out of cash. So, somebody needs to get on this issue today because it can’t wait another 60 days.” And the bot can do that. You don’t need a human doing that. JOE: Do you try to pre-build those queries or is the AI able to use AI to, I guess, spot problems that maybe even a human wouldn’t think to ask? STEVE: That’s exactly right. So, it’s a combination of the two. So there’s gonna be algorithms that you would take from normal business processing. So, you would say, “OK, Joe, you’re the CFO. What kinds of things do you want to know about on a regular basis, and how do you get those answers today?” And then you might say, “Well, I get data from here, here, here and here. I put it in this spreadsheet and I run this formula, this formula, this formula, and if it looks like this, that tells me this. If it looks like that, that tells me that.” So, those are pretty easy. Those are just let’s incorporate the logic. But the other things, to your point, that machine learning can do that. You know we just don’t do well as humans is look at massive amounts of data and recognize differences in patterns that we would never see. Like for example, you’ve got an organization that has lots and lots of people that are submitting expenses. Is the types of things that they’re submitting normal or not? I don’t know. Without going through every single solitary expanse and looking for the one case where somebody went someplace that they shouldn’t and put it on their expense report. Machines can do that without—It’s just really, really simple stuff. And if they don’t know what it means they can still bubble it up and say something like, “Well, I don’t know what this means but I know it’s not normal. And those kinds of pattern recognition sorts of things, and that’s fundamentally how machine learning works. I get asked a lot, “What is machine learning and how is it different than how we normally would do stuff?” So, normally with like semantic programming it’s mostly like, “If this happens, then do this.” But with machine learning it’s more like training somebody, like a person. So, here’s a bunch of examples of something. Now here’s something new. Does this new thing that I give you look like those existing things? And the answer could be a definite yes or—And it’s actually never definite. Could be, “Yeah, I think so” or “No, I don’t” with some degree of confidence. And so, the more data you have, the degree of confidence is going to go up if the new cases are like previous cases. JOE: And I would assume also there’s a lot of communication gaps between humans, too, so somebody’s actions in one department may never actually sit in the same meeting as another department, or if they do, they’re not, there’s isn’t infrastructure isn’t there to communicate about this. A lot of the win can happen just from crossing communication gaps with data that don’t get crossed with humans sharing data. STEVE: Yeah, for sure. And we have bias. Like there’s cognitive bias, personal biases that machines just don’t have. They don’t care .They just tell you what’s in the data. JOE: Are there negatives to that? Is there a benefit that comes from human interaction as it relates to productivity, or as it relates to creativity, or as it relates to inspiration to do certain things based on the stakeholders involved and the relationships back and forth that you lose with AI? STEVE: Yeah, for sure. I mean, so you hear AI, generally the topic of, “Oh, it’s gonna take jobs.” That’s going to come up, and it’s not going to take jobs that are designed for humans, ever. It will take jobs that humans aren’t the best fit for all day long. And the reality there is that most of the jobs that AI is going to replace are jobs that humans really don’t want anyway. They might get paid to do them today but they’re process oriented jobs. And my optimistic side says if we can provide people with more time they’ll do things that are more valuable and they’ll do things that are more human. And I think about things like one hundred years ago, how long did it take to wash clothes? I don’t even know how to do it, but I just imagine like somebody dunking clothes in to a basin of water and ringing them out and hanging them. But it was hours of work and today we take our dirty clothes, we throw them, in the washing machine, and pull them out of a washing machine, just throw it in the dryer. We don’t even really think about it. Its minutes, and that frees us up to do things that are more valuable. JOE: That’s, that’s sort of the argument that goes around now, is that it frees you up to kind of look at your phone. And so, when I say—it’s not so much I wasn’t thinking about the job replacement, but when you have a group of humans sitting around a table and the first order of business is to have this just black and white data laid out and then sort of be human after that, in theory you’re like yeah, that’s better data and that’s clear. It is black and white, but is there a piece of business, and a piece of innovation, and a piece of creativity that is hurt by that, by us being moved into that way of thinking? STEVE: For sure. This is all new territory. It’s all it’s all dabbling. So yeah, for sure. I don’t know. What I do know is that things are going to continue to evolve. Technology’s not going to stop, or if it does, we’ve got much bigger problems. So, we’re going to have to adapt one way or another. And I also think that the capacity for human potential is unlimited. And there’s always gonna be problems to solve that require humans. And the more time that we have to problem solve—which is kind of what’s unique about people, right? If we were cheetahs we’d want to be running a lot, because we’d be super-fast, but we’re creatures that solve problems. And if it’s something that a machine can do it’s not really a problem anymore. And so, let’s move on to the next thing. We’ve got lots of big issues to solve. Let’s put more brainpower on those. JOE: You sort of have to be because of your industry. You’re kind of de facto futurists. So, what about the concept of work and its necessity altogether? Have you thought about you know, the whole universal basic income and the idea that—Should humans all have to work, or is our ultimate goal to replace where we don’t have to if we don’t want to? STEVE: When the population got bigger, the GDP increased, so it was all about just more people because more people were able to produce more things. What if that changes? How does that affect the building blocks of what we’re relying on? And I certainly don’t have the answer to that, but I think it’s a question that we need to consider. I don’t think it’s responsible—maybe responsible is too heavy of a word, but I don’t think that we can assume that what’s worked in the past will, by default, work in the future, and I think that we need to be thinking about that objectively. And with our problem solving synapses firing, I think it’s something that we’re going to have to address. JOE: One of the dings on our current capitalism is proclivity for wealth to be amassed by a very, very small number of people. And certainly technology has played—Obviously the Rockefellers and people who influenced big commodities back in the day were way wealthier. But the basis is that some of the people that own the companies, that their personal wealth is as much as three states’ worth of wealth. Is that something that we’re catching up with a little? STEVE: Again, this is outside of my expertise, but my opinion or general thinking on it is for most of modern history, the distribution of wealth has been very unequal, and the upper 1% has held the vast majority, and I think that goes back some time. And that might be changing more, but I like to think that at the end of the day, even the upper 1% are still human and they want to enjoy being human because no matter how much you have, your general path is not unlike everybody else’s. You’re going to get to the end just like everybody else does, and so I would like to think that if they could choose they would want to see a society that’s not fair—because it never is—but you see good things happening, and everybody can chase their dreams. And if your dream is to amass billions, go for it. If your dream is to be really good at something that will never make you wealthy in the financial sense but is what you’re built for, go for it. Like, that’s hopefully something that continues to happen. And the Jeff Bezos thing. If all of us are broke, who’s going to buy stuff on Amazon? JOE: Even the flip side, thinking about it a little more is that it’s opened the door for anybody or more people to get to that. If there’s always going to be and always has been a disparity in wealth, you don’t have to be a king, you don’t have to be a monarch, you don’t have to be attached to some of the institutions. And now someone like Jeff can come from sort of nowhere to ascend to that level, at least financial wealth. STEVE: We’re all kind of kings, relatively speaking. Not even relative now, but that’s definitely true if you’re in the US. Worldwide—not in all places, of course, but generally relative to 200 years ago, we’re all a lot better off. And I hope that that continues. And there’s certainly a cost. You know, you think like the environment is important. Like, we’ve got one planet. And I think technology probably plays a role in hopefully addressing that or finding a backup planet if it can’t be addressed. I don’t know that people will consume less. I hope that we consume smarter. And kind of back to where AI can help is free up our problem solving capacity to think about much bigger issues than, “Hey, I gotta pay the rent this month.” That’s a big issue if the rent is past due, but I think that if we can buy ourselves more time, then we can use the time that we have in ways that have better impact. JOE: Sure. Before we go I’d like to give a little entrepreneurial wisdom. So, to the startup folks that’ll inevitably listen to this because of your track record, what are some of your lessons learned that you would like to pass on, as far as running a startup, asking for money, and growing to the future? STEVE: Pick something that you’re really passionate about. And you have to be, because if you ever compete with somebody who’s really passionate about something that you’re not as passionate about and you’re competing with them, you’re going to lose. So, you’re better off looking at it from “What do I really love doing and what could I do even if I didn’t get paid?” And if you find the answer to that, there’s probably a way to make your financial goals happen, as well. And today everybody kind of needs to be the best. There’s no second anymore. There’s millions of markets of dozens, and the dozen people want the very best for whatever they’re buying, so I think we all have to kind of line up what we do well and what we enjoy doing personally, and just put 100% into that and do what you love. JOE: We finish every show with a shout out. So, someone you think’s doing some great work in Tampa Bay that you want to give a little attention to? STEVE: The Synapse Team. The Synapse team and the Florida Funders team. I’m certainly biased. I have an office over there, so I see them working all the time, and they are working all the time. They are very hard at work doing stuff that is creating amazing results for the community. So, for sure. I don’t want to call out one person, because there’s so many people over there that are just really giving it their all. Did you go last year? JOE: I did. We actually launched the St. Pete Catalyst last year. STEVE: OK, so you know. And that was year one. JOE: We’ll be back again this year. STEVE: I can’t imagine what this year is going to be like, but they’re doing a phenomenal job. And the stuff that Florida Funders is doing is, I think, really good stuff. And, gosh, you could probably just sit 45 minutes listing all of the different cool things that are going on. JOE: Shout out to Seed Funders, too. STEVE: Sea Funders, for sure. JOE: Taking a baby spot there. JOE: And I think we’re just in the midst of—Actually, in our internal meetings we talked about—We’ll prepare companies for Florida Funders, and our first investment just got approved for Florida Funders funding. So, it’s working. JOE: I appreciate your time. Thank you. STEVE: I appreciate you having me here. I enjoyed it. Joe Hamilton is the CEO of Big Sea and a founding Insight Board member at the St. Petersburg Group. 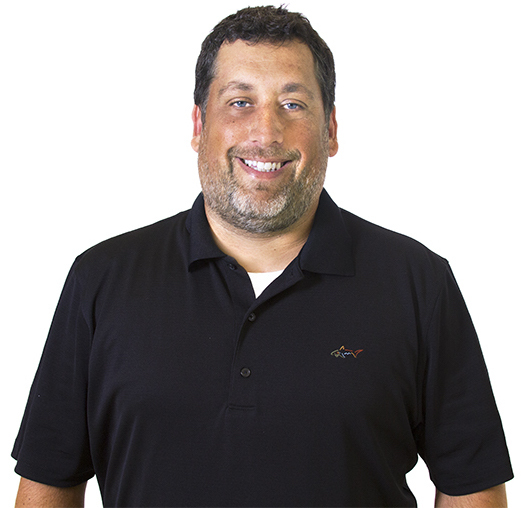 Joe brings a strong acumen for strategy and positioning businesses. 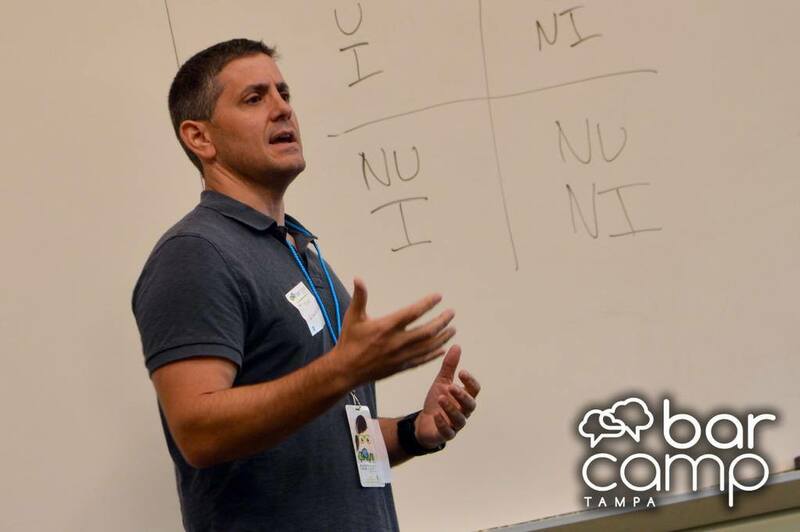 He serves on several local boards, including TEDx Tampa Bay, which grew his desire to build a platform where the area’s thought leaders could share their valuable insight with the community at large. The St. Petersburg Group brings together some of the finest thinkers in the area. Our team is civic minded, with strong business acumen. We seek to solve big problems for big benefit to the city, its businesses and its citizens.